წმინდა პავლე მოციქულის სახელობის მართლმადიდებლური ღვთისმეტყველების ცენტრი 2016 წლის 14 სექტემბრიდან მოქმედებს დმანისისა და აგარაკ-ტაშირის, დიდი ბრიტანეთისა და ირლანდიის ეპარქიის მთავარეპისკოპოსის მეუფე ზენონის ლოცვა-კურთხევით. წმინდა პავლე მოციქულის სახელობის მართლმადიდებლური ღვთისმეტყველების ცენტრის მიზანს წარმოადგენს ფართო საზოგადოებისათვის მართლმადიდებლური ღვთისმეტყველების (და მისი მომიჯნავე საკითხების), იმ მიმართულებების გაცნობა, რომლებიც ჩვენი საზოგადოებისთვის პრაქტიკულად უცნობია. ქართული საღვთისმეტყველო ლიტერატურის გამდიდრებისათვის ცენტრის მიერ ხორციელდება სხვადასხვა სახის თეოლოგიური კვლევები და ითარგმნება ფუნდამენტური ნაშრომები. ცენტრის მიერ შეიქმნა ინტერნეტ გვერდი www.orthodoxtheology.ge, რომელიც უფრო იოლად ხელმისაწვდომს ხდის მკითხველთათვის ცენტრის მიერ თარგმნილ და ორიგინალურ ნაშრომებს. საიტზე განთავსდება მართლმადიდებელ თეოლოგთა ნაშრომების ორიგინალური ვერსიები, მათი თარგმანები და ცენტრის წევრთა და სხვა მეცნიერთა ორიგინალური სტატიები. აღვნიშნავთ, რომ საიტი შექმნილია ცენტრის წევრთა პირადი ინიციატივით და მასში გამოქვეყნებული ინფორმაცია შეიძლება არ გამოხატავდეს საქართველოს საპატრიარქოს ოფიციალურ პოზიციას. It has come to my knowledge that a certain Orthodox Christian web-site in Georgian language, addressed to Orthodox faithful in Georgia and in which Deacon Irakli Tsakadze and his wife, Nana Quparadze, are involved, have been put under suspicion from a well-known priest in Georgia. Accusations have been forwarded, so I understand, against the web-site, and thereby against those who are responsible for it, because the site does not in every respect and in every detail reflect the official position of the Georgian Orthodox Church, for example regarding the so-called ”calendar-question”. Allow me, on this background, the following statement: I know the above mentioned couple as devout, well-instructed and loyal Orthodox Christians who both of them contribute in the most positive way to the development and life of the Orthodox Church in Denmark. Nana Quparadze is an able and talented iconographer, and Deacon Irakli Tsakadze has been found worthy by our Archbishop Gabriel of Comane of the diaconate in Christ and has been trusted with responsibility for serving as such in Denmark. 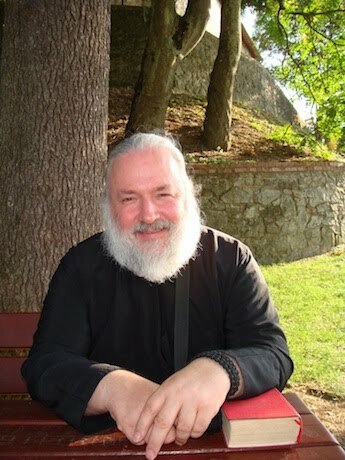 It is outraging and ridiculous to think, that Deacon Irakli and his wife should, directly or indirectly be involved in any action with the aim of weakening or harming the Orthodox Church. Their whole work and life points in exactly the opposite direction. როგორც შევიტყვე, ერთ-ერთი ქართულ ენოვანი მართლმადიდებლური ვებ-ბლოგი, რომლის საქმიანობაც მიმართულია საქართველოში მცხოვრები მართლმადიდებელი ქრისტიანებისადმი, და რომელშიც მონაწილეობას იღებენ დიაკვანი ირაკლი წაქაძე და მისი მეუღლე ნანა ყუფარაძე, ეჭვის ქვეშ იქნა დაყენებული საქართველოში საკმაოდ ცნობილი მღვდლის მიერ. და როგორც გავიგე, ბრალდებები მიმართული იყო ამ ვებ-ბლოგის და, შესაბამისად, ბლოგის პასუხისმგებელთა მიმართ, ვინაიდან ის არ გამოხატავს საქართველოს მართლმადიდებელი ეკლესიის ოფიციალურ პოზიციას ყველა ასპექტში და ყველა დეტალში, მაგალითად ე.წ. “კალენდრულ-საკითხში”. ამასთან დაკავშირებით, ნება მიბოძეთ გავაკეთო შემდეგი განცხადება: მე ვიცნობ ზემოთ ხსენებულ წყვილს როგორც მორწმუნე, განათლებულ და ერთგულ მართლმადიდებელ ქრისტიანებს, რომლებსაც მეტად დადებითი წვლილი შეაქვთ დანიაში მართლმადიდებელი ეკლესიის ცხოვრებასა და განვითარებაში. ნანა ყუფარაძე არის ნიჭიერი ხატმწერი, ხოლო დიაკვანი ირაკლი წაქაძე კომანის არქიეპისკოპოსმა გაბრიელმა ღირსეულად მიიჩნია რათა დიაკვნად ეკურთხებინა და მიენდო დანიაში მსახურების პასუხისმგებლობა. აღმაშფოთებელი და სასაცილოა იფიქრო, თითქოს დიაკვანი ირაკლი და მისი მეუღლე შეიძლება პირდაპირ ან ირიბად ჩართულნი იყვნენ ისეთ საქმიანობაში, რომელიც მიზნად დაისახავდა მართლმადიდებელი ეკლესიის დასუსტებას. მთელი მათი საქმიანობა და ცხოვრება მოწმობს სწორედ საპირისპიროს. The Orthodox Theology Blog (www.orthodoxtheology.ge) carries very interesting and important articles translated into Georgian or Russian, mostly by well-known Orthodox theologians and authors such as Protopresbyter Alexander Shmemann, Protopresbyter John Meyendorff, Metropolitan John Zizioulas of Pergamon, Rev. John Ericson and others. The organisers of the blog are serious, practicing Orthodox Christians and I consider that the blog is a laudable Orthodox theological initiative. I am convinced that it is quite untrue to claim that the site is in any way anti-Orthodox, as has been claimed in certain marginal quarters. On the contrary, it presents useful and interesting articles by outstanding theologians of the Orthodox world. Furthermore, inasmuch as the organisers clearly state that it is not an official publication of the Patriarchate, a blessing is not required in order to organise a free exchange of ideas by serious Orthodox thinkers and theologians. All of the participants have, however, obtained the blessing of their respective spiritual fathers. In view of all the above, I am happy to give my support and blessing to this site and I wish the bloggers the guidance of our Lord Jesus Christ in faithful obedience to his holy Orthodox Church. მართლმადიდებლური ღვთისმეტყველების ბლოგზე (www.orthodoxtheology.ge) განთავსებულია ძალიან საინტერესო და მნიშვნელოვანი ქართულად თარგმნილი სტატიები და ზოგიერთი დროებით განთავსებული რუსული სტატია, რომელთა ავტორები ძირითადად ისეთი ცნობილი მართლმადიდებელი ღვთისმეტყველები არიან, როგორიც პროტოპრესვიტერი ალექსანდრე შმემანი, პროტოპრესვიტერი იოანე მეიენდორფი, პერგამონის მიტროპოლიტი იოანე ზიზიულასი, მღვდ. იოანე ერიქსონი და სხვები. ბლოგის ორგანიზატორები არიან სერიოზული ეკლესიური მართლმადიდებელი ქრისტიანები და ვთვლი, რომ ბლოგი მისასალმებელი მართლმადიდებლური ინიციატივაა. დარწმუნებული ვარ, რომ სავსებით არასწორია მტკიცება, თითქოს საიტი რამენაირად ანტი-მართლმადიდებლურია, როგორც განაცხადეს გარკვეულმა მარგინალურმა წრეებმა. პირიქით, ის გვთავაზობს მართლმადიდებლური სამყაროს გამოჩენილ ღვთისმეტყველთა საჭირო და საინტერესო სტატიებს. გარდა ამისა, ვინაიდან ორგანიზატორები ნათლად აცხადებენ, რომ ის არ წარმოადგენს საპატრიარქოს ოფიციალურ გამოცემას, მას არ მოეთხოვება კურთხევა იმისათვის, რათა მოხდეს სერიოზულ მართლმადიდებელ ღვთისმეტყველთა და მოაზროვნეთა იდეების თავისუფალი გაცვლა. თუმცა, ყველა მონაწილეს კურთხევა აქვს აღებული საკუთარ სულიერ მოძღვართაგან. ყოველივე ზემოხსენებულის გათვალისწინებით, მე მოხარული ვარ ამ ბლოგს აღვუთქვა ჩემი მხარდაჭერა და კურთხევა, ხოლო ბლოგერებს ვუსურვო ჩვენი უფალი იესო ქრისტეს ხელმძღვანელობა მისი წმინდა მართლმადიდებელი ეკლესიის მიმართ ერთგულ მორჩილებაში.